Arthritis knee braces are ideal for relieving osteoarthritis knee pain and other knee symptoms that result from arthritis. They also help with knee stability during walking and help encourage mobility in patients. Check out our arthritis knee braces from some of the leading brands in the knee brace industry and shop with the confidence of a 90-day money back guarantee. Check out this video to see what brace is right for you. Need additional help choosing an OA knee brace? Use Brace Advisor, our guided tool, which will provide recommendations on the arthritis brace for you based on your level of activity and usage. How Do Arthritis Knee Braces Work? 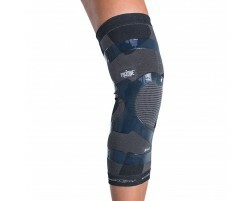 Arthritis knee braces are a great way to help alleviate the pain associated with arthritis. They're especially effective for patients with osteoarthritis. Arthritis knee braces are designed for everyday use and may help patients live an active lifestyle with less pain. They do this by helping support the weight of the body on the unhealthy parts of the knee and shifting the pressure to the healthier areas. Because arthritis knee supports encourage mobility and activity, they can also help reduce stiffness in the joint. Well-designed knee braces will be lightweight so they're easy to wear and won't weigh you down. That's what makes them so great for daily use! Learn more about causes, symptoms, and treatment for Knee OA in our injury info center.